TheToySource News! Marilyn Monroe, Extreme Sets Dioramas, GoT Hound & More! TheToySource News! Marilyn Monroe, Extreme Sets Dioramas, GoT Hound, Good Smile Deadpool & More! - ThreeZero - Game of Thrones - 1/6 Scale Sandor Clegane "The Hound"
Extreme Sets Pop-up Dioramas are a must have for kids and collectors alike! These Extreme Sets allow you to create the ultimate environment experience for your action figures. They feature six highly detailed connecting backdrops. 4 dioramas to choose from: Dojo, Deranged Alley, Sector 09, and Sewer. Shop Extreme Sets at The Toy Source! Now up for Preorder - Star Ace - Gentlemen Prefer Blondes Marilyn Monroe in Gold or Pink Dress! Preorder yours today! ThreeZero - Game of Thrones - 1/6 Scale Sandor Clegane "The Hound"
Now up for preorder - Good Smile - Nendoroid Deadpool Orechan Edition! Preorder it here at The Toy Source! MoShow - Metal Build Pro - 1/100 MS-OOQ now up for preorder at The Toy Source! Reserve yours today! Now up for preorder - Storm Collectibles - Street Fighter V - 1/12 M Bison! Preorder yours today! Preorder now - Play Arts Kai - Kingdom Hearts III - Sora! Order today at theToySource! Hot new preorder - S.H. Figuarts Star Wars - Clone Trooper Phase II, Battle Droid - Geonosis Color, and Jango Fett! Preorder today! S.H. Figuarts - Star Wars - Luke Skywalker - A New Hope now instock at TheToySource! Order yours here today! Robot Spirits - RGM-79 - GM Version - A.N.I.M.E. The alluring Harley Quinn from the film Suicide Squad joins the S.H.Figuarts lineup! Preorder yours today! TheToySource Weekend Sale - Xtransbots - MX-I Apollyon - 2nd Production Run - Only $144.99! You Save $20 off the original price! This weekend only! Now Instock - Machine Robo - MR-01 - Bike Mode! Order yours here! 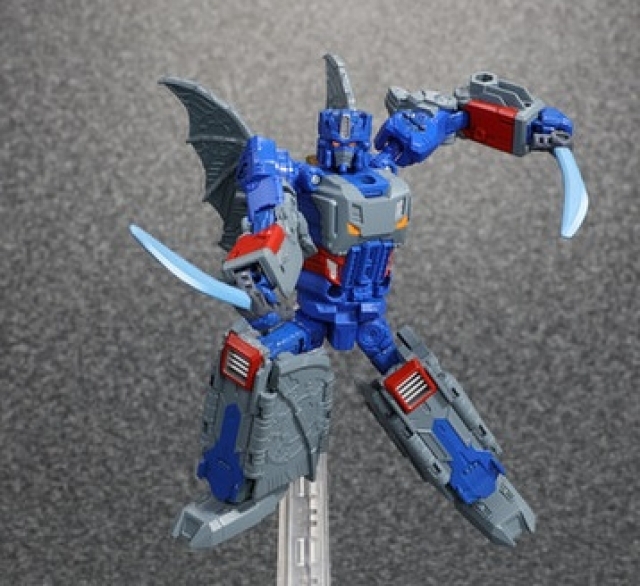 Another great figure from FansToys now up for preorder. This time it's FT-18 - LUPUS. Preorder yours today! This is no cat and mouse game! Preorder Unique Toys - YM01- Palm Collection - Tom & Jerry at TheToySource! The BIG guy is in! Order the nearly 2ft tall Titans Return Fortress Maximus at TheToySource! New recruits added to the TheToySource Vintage army! Shop Vintage now! This triple changer robot converts from Jet to Oil Tanker to Robot! Preorder KFC - Eavi Metal Phase Eleven: A Stratotanker at TheToySource! Hot new preorder! Gcreation- Shuraking - SRK-04 Blade - Limited Edition Blue version! Hurry while supplies last! Garatron - GOD-01 - Thunderstorm now up for preorder! Preorder yours today! Now Instock - MakeToys MCB03 - Pandinus! Add this awesome collection centerpiece to your cart today! Order yours now! Wardog is HUGE! The MP scaled figure has been restocked at TheToySource. Get your Bad Cube OTS-04 Wardog today. You'll tank us later! This limited edition exclusive piece from Planet-X is limited to 1000 pieces worldwide! Preorder PX-06B VULCAN - HEPHAESTUS today! Become a fan of TheToySource on Facebook today! ... is there a market for a collectible Marilyn Monroe figure? It's just sad when you can look through a list of so many items and find absolutely nothing you want. I'd actually like to home MP Mightron and Despotron.